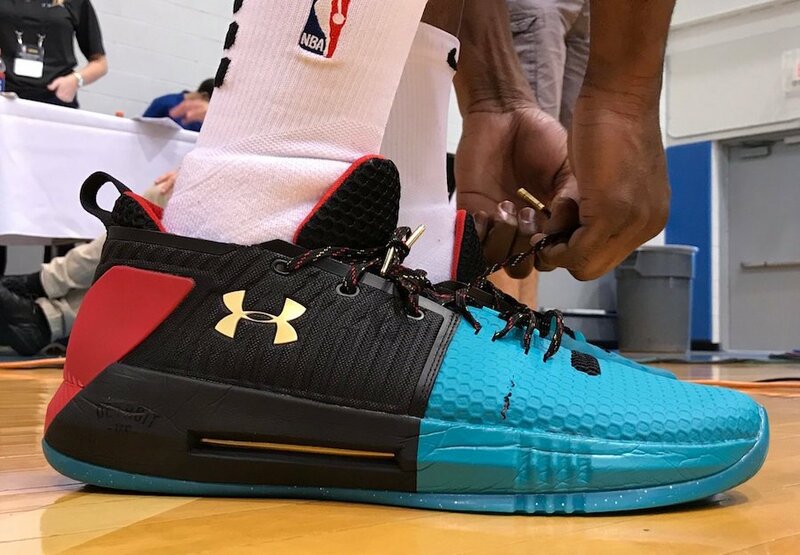 The Under Armour Drive 4 Low was recently unveiled by two of Under Armour’s top NBA draft signees. 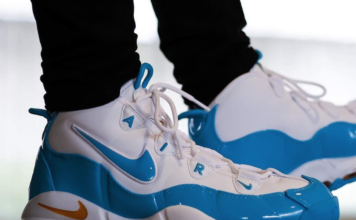 Two color options was spotted which was seen during the NBA rookie photoshoot. This gives us a preview of the two colorways of the Drive 4. 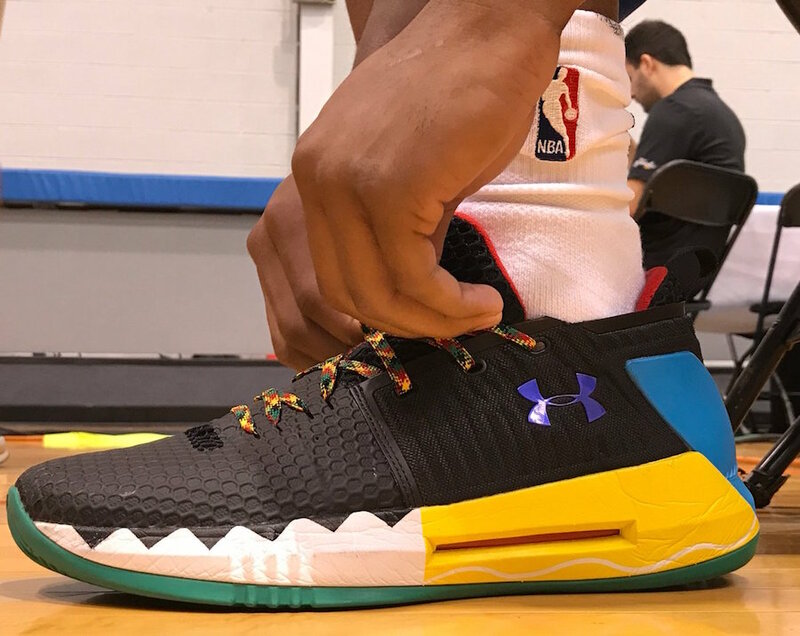 Josh Jackson of the Phoenix Suns was one of the individuals wearing a pair which comes dressed in a Teal, Black, Red and Gold color combination which has vibrant look. Dennis Jackson from the Dallas Mavericks pair is dressed in Black, Yellow, Red, Blue and Green. Continue to scroll below to check out more images of the UA Drive 4 Low which will show you both color options. While a release date is unknown, the model is expected to launch at select Under Armour retailers during October 2017. Make sure to check back with us for updates and visit the comments section with your thoughts on the model.